Late last week, I invited readers to follow along, and even participate in an inquiry into the execution of Lamont Reese. 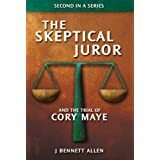 I provided two links to the case summary, and invited any reader interested to provide a preliminary analysis of that case. Since there were no takers, I'll begin to discuss my concern about that case here. My concern is substantial. While searching for the 54 innocent people Texas may have executed, I allowed the case of Lamont Reese to pass through my coarse filter because of his persistent and demonstrative expressions of innocence. Other than that, the cards seemed stacked pretty well against him. Allow me to provide you an overview based on summaries provided by Wikipedia and the Texas Execution Information Center. On March 1, 1999, 3 men flirted with Lamont Reese’s 18-year-old girlfriend, Kareema, outside a Fort Worth convenience store. After an exchange of words, Reese, Kareema, and 3 of his companions left the store and armed themselves. Kareema drove them drove them back to the store, bringing her 2-year-old son with her. Reese shot the three men who had flirted with Kareema, as well as two bystanders. Three of those who were shot died. After the murders, Reese and his friends returned to Kareema's home where they bragged about their crime. One of them told another man who had not participated in the shooting that Reese had shot three people with an assault rifle. Reese did not dispute this statement. Instead, he boasted that he got the men who were at the pay phone at the store. On the heels of his arrest police impounded Reese's vehicle and found five live cartridges in the glove compartment that were identical to several live rounds of ammunition discovered at the crime scene. Reese was convicted of capital murder. He forced his jailers to carry him to the death chamber. After being strapped to the gurney, Reese explained his behavior. ""I want everyone to know that I did not walk to this, because this is straight-up murder. I am not going to play a part in my own murder. No one should have to do that." Reese also addressed the victims' relatives who were in attendance. "I do not know all of your names, and I don't know how you feel about me, and whether you believe it or not, I did not kill them." Reese's girlfriend Kareema and his three friends / accomplices were each convicted of capital murder. Kareema was sentenced to life. The others to 50 years, 45 years, and 30 years. I had little luck finding information about the case. Generally, I can find written decisions by appellate courts that provide insight into a case. I found none for Lamont Reese. I found instead several adverse decisions unaccompanied by any written opinion. At one point Reese went on a hunger strike to draw attention to his poor legal representation, but that too was to no avail. He was sped through the appeals process and executed with hardly a whimper from the press, public, or legal profession. Finally I stumbled across a defense for Lamont Reese, the only one I have found so far. It was an open letter written by a fellow death row inmate. I include that defense in its entirety below. On March 1st, 1999 at approximately 9:00 PM as 21-year-old Lamont Reese, his 18- year-old girlfriend, Kareema Kimbrough and their 2-year-old son were at a Hollywood Video Store returning some videos and renting others, a gang related shooting was taking place at a convenience store about three miles away. 5 young men were shot, 3 died. The two survivors testified that they did not see who shot them. The following day 15-year-old Steven Kindred shot 18-year-old Curtis Sealy purportedly to silence him in regard to the previous nights murders. Steven Kindred, AKA: “Little Hoova,” was subsequently arrested for the aggravated assault (shooting) of Curtis Sealy. During police interviews Kindred began trying to “deal” his way out of his predicament. When he was questioned about the convenience store shootings he pointed the finger at someone other than Lamont Reese and Kareema Kimbrough. In his efforts to save his own skin, his stories evolved and he eventually pointed the finger of blame at Lamont and Kareema. As time progressed and the lies became more complex, a total of five people were charged in the shooting, including Steven Kindred. Desperate for someone to corroborate his version of the events, 15-year-old Kindred turned to his 25-year-old girlfriend. He in turn told her to tell the authorities that Lamont Reese went to her house minutes after the shooting and allegedly “confessed” to her and then went to the video store. When Kindred’s adult girlfriend approached the police with her story, she was told that she could be charged with “aggravated sexual assault of a child,” because of her sexual relationship with the juvenile, Kindred. To make a long story short, 3 of the 5 who were charged with this crime (shooting, murders) used lies to bargain their way out of death or life sentences. Lamont Reese was sentenced to death, and Kareema, life in prison. Kindred’s girlfriend was given “transactional immunity” for the charge of Aggregated Sexual Assault in return for her testimony. If that wasn’t adequate motive for perjury, I’m sure it was enhanced by her desire to help her juvenile lover. No physical evidence was presented to support the testimony of Kindred’s girlfriend, who admitted she had been smoking crack all the day of the shooting. I have no way of verifying any of this and no investigator has ever attempted to talk to any of the co-defendants or supposed witnesses, including the “crack smoking child molester.” However, Lamont has in his possession a receipt that shows he was in fact at the Hollywood video around 9 PM returning videos and renting more. He frequented this store often. The store security video shows Lamont, his girlfriend and their child in the store around this same time. The tape has never been properly analyzed to break down the exact times. The problem is he is about to get an execution date. His case has moved through the courts at an alarming rate of speed. The crime happened March 1st, 1999. 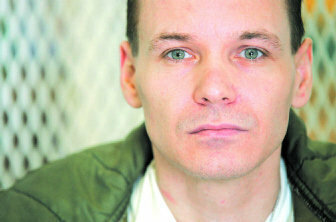 He was sentenced to death December 4, 2000. His direct appeal was affirmed November 6, 2002, the state writ application; relief was denied April 30th, 2003 and then by law he had one year to prepare and file his Petition for writ of Habeas Corpus in Federal Court, but the judge ordered it due in 45 days. The state responded 45 days after that and relief was denied August 14th, 2003. Now the Fifth Circuit has denied COA, May 10th, 2004. He expects an execution date very soon. His federal writ attorney (appointed) was none other than Lisa Mullen, who as an Assistant D.A. in Tarrant Co. sent a handful of men to death row. Some have been killed. Also, Lamont may very well be mentally retarded. 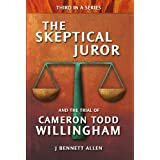 The federal judge stated something to the affect “If he was smart enough to go to the video store for an alibi, he is not mentally retarded.” That is not a direct quote, but a synopsis of what was written in the opinion. I, too, am without question a victim of a miscarriage of justice in the same county, so I know how easily it happens. If I could be wrongfully convicted in my situation, I’m certain he could be in the scenario I have just described. Personally, I believe Lamont is telling the truth. I believe him, because he has not detoured from his story under my constant scrutiny, because of the video receipt and tape, but mostly because he is determined to help his girlfriend obtain justice after he is (God forbid) killed by the State of Texas. He is more concerned with helping someone he loves than he is with himself. I perceive that as indicative of an innocent person. Anyone who is willing and able to help Lamont can contact him at the following address. I determined that Michael Toney was accurate about at least one aspect of his story. "I, too, am without a question a victim of a miscarriage of justice in the same country, so I know how easily it happens." I did a Google search on him. The first hit provided this tidbit. 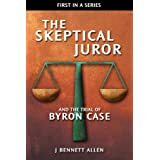 Toney's conviction was overturned on December 17, 2008 by the Texas Court of Criminal Appeals because the prosecution suppressed evidence relating to the credibility of its only two witnesses against him. The Tarrant County District Attorney’s Office subsequently withdrew from the case based on the misconduct findings. In September 2009, the Attorney General's Office, which had been specially appointed to the case in the wake of Tarrant County’s withdrawal, dismissed the indictment against Toney. He had consistently maintained his innocence. The case had gone unsolved for 14 years until a jail inmate told authorities that Toney had confessed to the crime. The inmate later recanted his story, saying he had hoped to win early release. It also provided this tidbit. Michael Toney, who recently became the 136th person exonerated and freed from death row since 1973, died in a car crash on October 3 in East Texas. He had been released from jail one month ago on September 2 after the state dropped all charges against him for a 1985 bombing that killed three people. Please read carefully what Michael Toney had to say about Lamont Reese. I won't ask anyone to submit a discussion of the case. I'll simply ask instead for someone to post a comment regarding whether or not this case deserves further consideration, and a brief thought on why. I'll wait a bit before providing my perspective. Stunningly good writing. btw It deserves further consideration.